Ages 5-12. Children 5 and under are free. Tanglewood Marionettes’ presentation of The Fairy Circus begins with a brief demonstration of the art of puppetry. 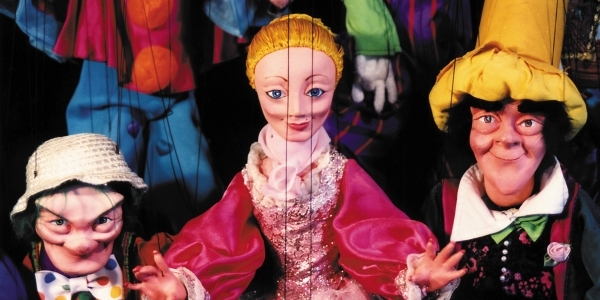 Through humorous interplay, the audience will learn about various forms of puppets, from the simple glove puppet to the sophisticated marionette. Featuring over twenty beautifully hand-crafted marionettes, The Fairy Circus is a showcase for turn-of-the-century-style trick puppetry. The puppets will dance, play instruments, juggle, contort, transform, and fly through the air with the greatest of ease, all to the best-loved music of favorite composers! The Fairy Circus is geared primarily toward children from pre-Kindergarten through Grade 2.